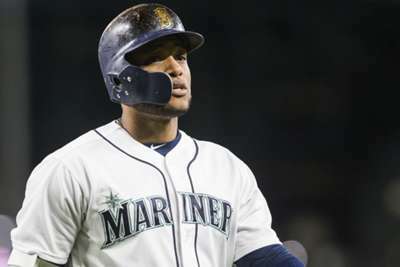 Seattle Mariners second baseman Robinson Cano has been suspended for 80 games after violating MLB's drug policy. The league announced on Tuesday that Cano tested positive for furosemide, a diuretic, which is in violation of MLB's Joint Drug Prevention and Treatment Program. A diuretic is seen as a masking agent, which MLB treats as a positive test. The 80-game suspension is mandatory for a first offence for performance-enhancing drug (PED) usage. Cano, 35, is batting .287 with four home runs and 23 RBIs this season. In his career, Cano has hit 305 home runs in 2,037 games. He is second all-time in homers by a second baseman behind only Jeff Kent (377). Cano released a statement through the MLBPA following the announcement of his suspension, which is effective immediately, accepting that he had taken the substance but that he had not done so to gain an unfair advantage. "Recently I learned that I tested positive for a substance called furosemide, which is not a performance enhancing substance," he said. "Furosemide is used to treat various medical conditions in the United States and the Dominican Republic. "The substance was given to me by a licensed doctor in the Dominican Republic to treat a medical ailment. While I did not realize at the time that I was given a medication that was banned, I obviously now wish that I had been more careful. "For more than 15 years, playing professional baseball has been the greatest honor and privilege of my life. I would never do anything to cheat the rules of the game that I love, and after undergoing dozens of tests over more than a decade, I have never tested positive for a performance enhancing substance for the simple reason that I have never taken one. "Today I decided to accept MLB's suspension. This was the most difficult decision I have ever made in my life, but ultimately the right decision given that I do not dispute that I was given this substance. I apologize to my family, friends, fans, team-mates and the Mariners organization. "I am extremely grateful for the support I have received during this process, and I look forward to re-joining my team-mates later this season." The Mariners subsequently released a statement of their own, which read: "Robinson made a mistake. He has explained to us what happened, accepted the punishment and has apologized to the fans, the organization and his team-mates. We will support Robinson as he works through this challenge." Cano is currently out injured after suffering a broken bone in his hand after being hit by a pitch. He will be out for six to eight weeks, which will count towards his suspension.